Sailing through the trust vote with 131 votes, Nitish Kumar is back being the ‘king’ of the Bihar. ‘Secularism can’t mask corruption,” said the Chief Minister in the Bihar Assembly with Deputy Chief Minister Sushil Modi by his side. “These are arrogant people. Political parties get a mandate in elections to serve the people. The people are fed-up,” added Nitish. Last 48-hours, Bihar witnessed some fast-paced and stunning developments that has changed the political scenario of the country. It all started on Thursday evening. Alleging corruption charges against Tejashwi Yadav, Nitish tendered his resignation and dissolved the 20-month-old mahagathbandhan or grand alliance between JD(U) and RJD. Within hours, JD (U) formed a new coalition with old ally BJP and Nitish headed back to office, claiming support of 132 MLAs in a letter to Bihar governor Keshari Nath Tripathi. In 2013, Nitish had ended his 17-year alliance with the BJP over the party’s decision to name Narendra Modi its Prime Ministerial candidate. Nitish’s decision to side with BJP has not gone down well with several party members. JD (U) stalwart Sharad Pawar is reportedly miffed with the new development while MP Ali Anwar openly expressed his dissatisfaction. Today morning, Nitish moved the confidence motion to prove majority of his new government amid scathing attacks from various counters. In the 243-member Bihar Assembly, 131 legislators voted in favour of the new alliance and 108 against. RJD leader Tejashwi Yadav argued that former his former ‘boss’ Nitish Kumar should have shown guts and sacked him rather than joining hands with the Bharatiya Janata Party (BJP). “Aapko sharam nahin aayi? (Aren’t you ashamed? ),”asked Tejashwi. Today morning, Patna High Court accepted RJD’s petition challenging the appointment of Nitish as Chief Minister. However, the court refused to stop today’s trust vote, saying it would hear the case on Monday, 31 July. JD (U)’s new alliance with BJP has changed significantly changed the political discourse of the country. Prime Minister Narendra Modi-led NDA now holds the power in 18 states throwing Congress out of the national equation. This, in turn, will have some significant bearing upcoming state elections and 2019 Lok Sabha election. Bihar’s political upheaval has only confirmed the notion of BJP’s saffron wave engulfing the entire nation. Prime Minister Narendra Modi showered fulsome praise on Bihar Chief Minister Nitish Kumar for launching a movement against liquor and appealed to all to make prohibition a grand success, weeks after he lauded the JD(U) chief for supporting demonetisation. “I greet Nitish Kumar from the core of my heart for launchin g a campaign against liquor,” the PM said as Nitish Kumar shared the dais with him during the concluding function of 350th Prakash Parva of 10th Sikh Guru Govind Singh here. “But, this work (prohibition) would not be a grand success only by efforts of Nitish Kumar or one party. All the political parties, social organisations and citizens have to participate in it to make it a ‘jan-jan ka andolan’ (peoples movement),” Modi said addressing the gathering. Bihar will become an example for the entire country through successful implementation of prohibition, the PM said. The PM’s mention of prohibition came in response to the Bihar Chief Minister’s request to him to spread prohibition across the country. Fulfilling its poll promise, Nitish Kumar government had imposed total prohibition in Bihar. Kumar in his address mentioned that Narendra Modi as Chief Minister of Gujarat had successfully carried prohibition which has been in force in the western state since its inception. Though Modi and Kumar have been bitter political opponents, the Prime Minister had praised the Bihar Chief Minister recently for supporting demonetisation after the winter session of Parliament was washed out due to protests by a united opposition on note ban. The JD(U) had walked out of NDA over naming of Modi as the BJP’s prime ministerial candidate in 2014. The two leaders led a shrill campaign in the 2015 Assembly elections against each other with Kumar, in alliance with RJD, handing down a humiliating defeat to BJP. However, breaking from opposition ranks, the JD(U) has supported demonetisation. Punjab Chief Minister Parkash Singh Badal, Bihar Governor Ramnath Kovind, Union ministers Ramvilas Paswan and Ravishankar Prasad were also present on the dais at the function today. JD(U) ally and RJD President Lalu Prasad was present in the audience along with Deputy Chief Minister of Punjab Sukhbir Singh Badal, Union minister Harsimrat Kaur, Bihar Deputy Chief Minister Tejaswi Prasad Yadav and senior BJP leader and Patna Saheb MP Shatrughan Sinha. Bowing his head in reverence to the 10th Sikh Guru Govind Singh, the PM lauded his efforts for unity of the country through formation of “Panch Pyara panth”. Patting Nitish Kumar for taking personal interest in making elaborate arrangements for the 350th Prakash Parva, the PM said the Centre on its part, besides helping the Bihar government in organising the event, is celebrating the historic occasion in different countries through its embassies. Infuriated by a class XII student’s ‘temerity’ to overtake his high end ‘Land Rover’, Rocky, son of JD(U) MLC Manorma Devi, allegedly shot him (student) dead late on Saturday evening. The gory incident reminded Gayaites of the Jungle Raj days of 1990s when the MLC’s husband Bindi Yadav, a jail bird and crime control detenu created a reign of terror that caused large scale migration of businessmen from the town and incidents of house grabbing in the posh AP Colony area of the town. The slain student has been identified as Aditya Sachdeva, a student of Nazareth Academy, the premier school run by christian missionaries. As per available details, Aditya along with four other friends was returning from Bodh Gaya after attending a b’day party. The boys riding a Swift Dzire car overtook the MLC’s son Rocky’s Land Rover between the back side of Central jail and Police lines. An infuriated Rocky chased the vehicle, got it stopped and allegedly shot the boy dead from point blank range in the head causing instant death. The MLC’s police body guard accompanied the VIP son during the misadventure. 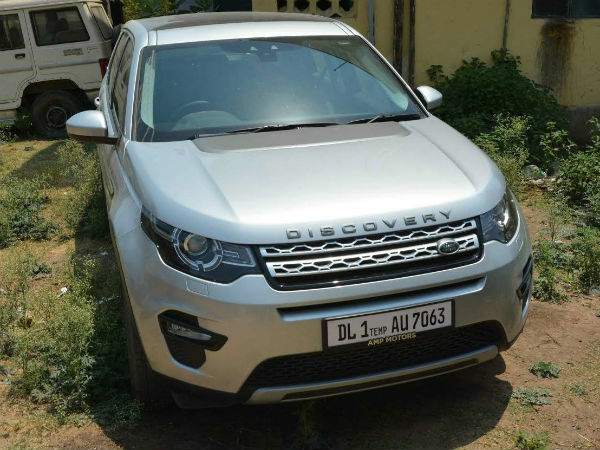 The Land Rover has been recovered from the MLC’s AP Colony residence and the police body guard taken into custody. Rocky, the alleged killer has absconded. Bindi Yadav, the MLC’s husband has been detained by the police in the Rampur police station for questioning. Bindi is likely to be formally arrested on the charge of harbouring his killer son. Confirming the incident Gaya SSP Garima Malik told TOI that raids were being conducted to nab Rocky. The arrested body guard has been identified as Rajesh Kumar. Angry residents blocked Swarajpuri Road, the main link between Gaya railway station and the township demanding immediate arrest and speedy trial of the killer. Rocky is said to be a sharp shooter and member of Rifle Club in Delhi. With Bihar Chief Minister Nitish Kumar assuming charge as the national president of Janata Dal (United), prospects of the revival of the defunct Third Front idea has again become the talk of the town. Political observers have often compared the idea to a seasonal frog which appears ahead of general elections and disappears thereafter. Twice in the last two decades, the satraps of these non-Congress and non-BJP regional parties with divergent interests and ideologies, stitched up a rag-tag alliance and assumed power at the Centre, with outside support from the Congress. However, these coalitions remained politically unstable and eventually fell under the weight of their own inherent contradictions. Ahead of the 2014 Lok Sabha poll too, one witnessed the rather premature demise of the 11-party Third Front. After the J Jayalalithaa-led AIADMK dumped the alliance with the Left parties in Tamil Nadu within days of its announcement, other key constituents, the Samajwadi Party, the JD(U) and the Left parties decided to contest the elections on their own in Uttar Pradesh, Bihar and other States. The then CPI general secretary, (late) AB Bardhan admitted in a television interview later that it was a mistake for the Left Front to attempt to forge a third front alliance before the poll. The proposed Third Front also did not have the support of either Trinamool Congress leader Mamata Banerjee, BSP supremo Mayawati, BJD chief Naveen Patnaik or AAP chief Arvind Kejriwal — all of whom are powerful in their home States. Ahead of the 2009 general election, one saw former Prime Minister HD Deve Gowda taking the initiative for the formation of a Third Front with a massive rally in Karnataka, attended and addressed by several leaders including Prakash Karat, AB Bardhan, Chandrababu Naidu and BSP’s Satish Chandra Mishra, besides representatives of the AIADMK and the Haryana Janhit Congress. Ever an aspirant for the top post, the JD(S) supremo goaded these parties to chalk out a ‘common minimum programme’, but failed to achieve any breakthrough. Ironically, even as the results were trickling in, one saw the pathetic sight of Gowda’s son and former Chief Minister HD Kumaraswamy entering 10, Janpath, with his face covered, to extend his party’s unconditional support to UPA2. It was not long before that he had deserted the Congress to form a coalition Government in Karnataka with the BJP and later backed out in the name of ‘secularism’, when he had to hand over the chief ministership of the State to the BJP under a 20-month rotation agreement. Ahead of the election, CPI(M) leader Sitaram Yechury had discounted the possibility of its allies in the so-called Third Front embracing the Congress or the BJP after the Lok Sabha poll. With the BSP and the JD(S) switching loyalties to the UPA and the TRS walking over to the NDA within days of the poll verdict, an embittered Yechury had to eat his words and state that the post-poll developments have proved that the ‘cut and paste’ alliance was a mistake. Subsequently, one saw the Samajwadi Party along with its arch rival from Uttar Pradesh, the Bahujan Samaj Party led by Mayawati, who had projected herself as the Third Front’s prime ministerial candidate in the 2009 poll, together serving as crutches for the UPA Government after its key allies, the TMC and the DMK walked out of the alliance. While there has been a clamour for bipolar polity in the country on the lines of the United States and the United Kingdom, the fact remains that India is a geographically diverse country with multiplicity of languages, castes, religions, et al. It was felt that the so-called mainstream parties have failed in the past six decades to cater to the grievances and aspirations of the people resulting in the emergence of regional parties. Apart from providing an alternative to both the Congress and the BJP, this front, it was felt, had the potential to bring together under a national banner a host of parochial political parties for a greater common cause. These political parties could bring to the national table a range of regional experiences and thereby herald a bottom-up approach as against the prevailing top-down approach to development. While the country needs a strong Centre in terms of defence, external affairs and dealing with insurgency, terrorism and Maoism, the planning and developmental processes are in urgent need of decentralisation. Here again, one hoped that the Third Front parties could help strengthen the federal characteristics enshrined in the Constitution. If anti-Congressism was the politically correct stand from the mid-60s to the late 80s, interspersed with the failed experiments of the Janata Party and the National Front coalitions, anti-BJPism laid the foundations of a third alternative in the 90s and thereafter. However, by aligning with both the major national parties from time to time under the garb of ‘stability’ or ‘keeping communal forces at bay’, the Third Front partners have come to be viewed as power-hungry regional satraps wanting to share the spoils of office at the Centre. With Prime Minister Narendra Modi continuing to top the popularity charts among political leaders and the Congress not yet showing signs of any major revival, there is a vacuum so far as an effective and constructive political opposition at the Centre is concerned. Can Nitish Kumar fill up that gap? His latest move is yet to elicit a positive response even from his ally, Lalu Prasad, in his home turf of Bihar itself. With the Congress and the Left parties coming together in West Bengal to oppose Mamata Banerjee, the possibility of Trinamool Congress being part of a future Third Front seems unrealistic for the time being. There are also question marks on whether Naveen Patnaik would join hands Nitish Kumar and Mulayam Singh Yadav play second fiddle. Yet, it would be premature to write the epitaph of the Third Front, for politics is the art of the possible. Notwithstanding the clamour for a bipolar polity, regional parties cannot be wished away. They are here to stay till the national parties reach out to the grassroots across the country and cater to the growing aspirations of the people. They will continue to be a force to reckon with so long as illiteracy remains, caste and linguistic loyalties are in vogue and regional imbalance persists. Indian democracy has adequate space for a viable ‘third’ alternative or even an alternative in the first place if the Congress fails to take off, but it has to be ensured that the ‘front’ is evolved gradually, based on past experiences with all opportunist elements kept out, adherence to certain commonly agreed policies, principles, ideology and programme of action, coordination within and outside parliament as also seat arrangements, common manifesto and joint campaign during state and national elections. Union Minister Ramvilas Paswan today said he has apprised Prime Minister Narendra Modi of the “deteriorating” law and order situation in Bihar and demanded for an imposition of President’s rule in the state. Paswan has also sought for a CBI probe into the recent political murders in the “Jungle Raj-2”, which has set in Bihar since the Grand Alliance government came to power three months ago. 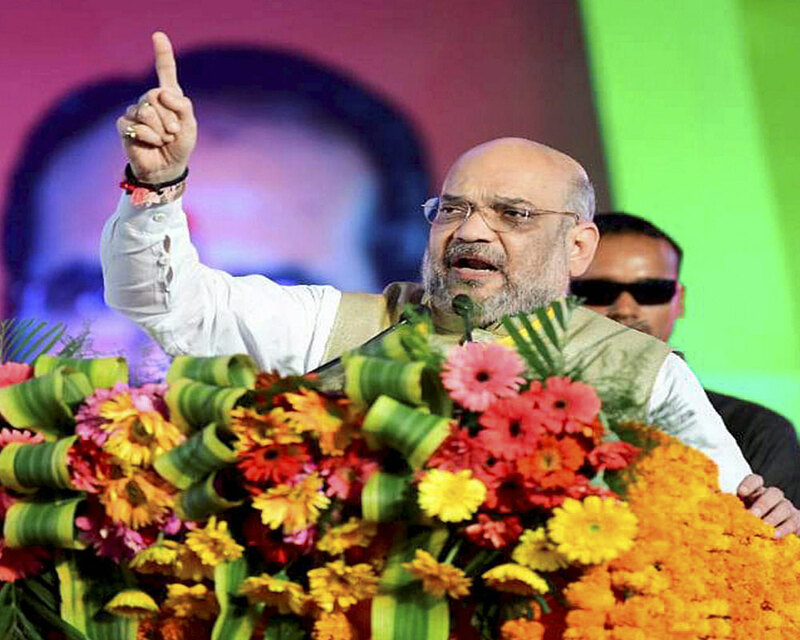 “In my capacity as LJP president, I met the PM two days ago and apprised him about deteriorating law and order situation in Bihar… I also submitted a letter demanding a CBI probe in the recent political murders and sought imposition of President’s Rule in the state,” he said. Paswan said that the recent murders of BJP state unit vice president Visheshwar Ojha in Bhojpur district and LJP leader Brijnathi Singh in Vaishali district pointed to the “collapse” of law and order situation in Bihar. The spate of political murders has not even left the RJD with its leader Vijendra Yadav and his kin shot dead in Samastipur district two days ago, the LJP supremo said, adding the criminals have got so emboldened by the “lack of teeth in the ruling government” that they have even started targeting leaders of the ruling alliance. Paswan targeted the RJD in particular, saying his worst fears that Bihar will be gripped by “Jungle Raj-2” if Lalu Prasad’s party returned to power, has come true. The LJP supremo said the victory of RLSP candidate Sudhanshu Sekhar in Harlakhi Assembly bypoll in Madhubani district showed that the people have started raising their voice against the lawlessness under the Nitish Kumar government. The people of Bihar have realised that they committed a mistake by electing the Grand Alliance government and the vote in favour of the RLSP candidate from Harlakhi vindicates their disapproval of lawlessness in Bihar, he said. Union Minister for Consumer Affairs Ramvilas Paswan today charged that Bihar was now passing through a ‘jungle raj’ and Chief Minister Nitish Kumar should resign. “The voters in Bihar have by now realised their mistakes by choosing the present government in power,” Paswan, on a two-day visit to the islands told PTI here. He alleged that the “deteriorating law and order situation in Bihar” indicated that the state was passing through “jungle raj” and the Chief Minister should have resigned. In a dig at Kumar, the LJP leader said the Chief Minister did not have any right to speak about good governance “as murders are taking place in broad day light”. Notably, in past two months, ASI Ashok Kumar Yadav was shot dead in Vaishali district, two engineers of a construction company, Brajesh Kumar and Mukesh Kumar, were shot dead in Darbhanga; a Quality Engineer of Reliance IT, was found dead with injury marks on his body in Vaishali district, while a foodgrain trader was shot dead in Muzaffarpur district.